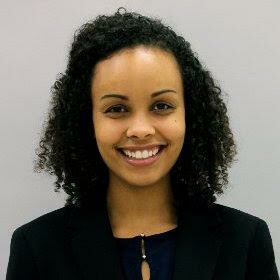 Cassandra Ndahiro joined Appleseed as an executive assistant. One of the newest members of the Nebraska Appleseed family brings our group a wealth of different life experiences from a truly unique background. We’re very pleased to introduce you to our Executive Assistant Cassandra Ndahiro. Cassandra moved to the U.S. after growing up in both Africa and Europe. She calls Kigali, Rwanda, and Kerava, Finland, her hometowns and made her way to Nebraska Wesleyan University, where she earned degrees in Global Studies and Communication. After learning about Nebraska Appleseed through her former classmate and current Appleseed Child Welfare Program Associate Becca Brune, Cassandra was inspired by our mission of fighting for justice and opportunity for all Nebraskans, while also being interested in nonprofit work in general. Specifically, she is curious about what makes a non-profit successful and how they operate. Cassandra has been a quick study in helping us stay organized and on task despite juggling multiple projects while growing her experience through several leadership opportunities. In her free time, Cassandra enjoys watching Game of Thrones but doesn’t have a favorite house or character. She says that she roots for the good guys, whoever they are. We agreed that it would be easier to find a smile from Stannis Baratheon. Cassandra also enjoys yoga and is considering doing a Teacher Training Program, she believes yoga (in Rwanda especially) can help people heal from certain kinds of trauma.